While dairy co-operative Fonterra might be struggling to get its business back in shape, there is good news for farmers - with rising global dairy prices now pointing to a likely farmgate milk price this season at the top end of Fonterra's current estimated range of $6.30-$6.60 per kilogram of milk solids. Both ASB and BNZ economists revised upwards their picks for the milk price this season in the wake of further gains in the GlobalDairyTrade auction held early on Wednesday morning. And the outlook for next season is potentially even brighter. ASB senior rural economist Nathan Penny said he was increasing his forecast price for this season by 35c to $6.60 and notes that there's upside risk to the bank's "already bullish" pick of $7 for next season. BNZ senior economist Doug Steel increased his pick for this season's price to $6.50 from $6.25 and the pick for next season up to $6.70 from $6.10 previously. Penny said global whole milk prices had lifted 10.2% since ASB last updated its forecast in February and prices have now risen for eight successive auctions. "The price lift, however, is somewhat of a double-edged sword. At the same time we lift milk price forecast, we are cutting our 2018/19 production growth forecast to 3%, from 5% previously. "On a net income basis, the changes are positive for the dairy sector as a whole. We estimate that the two changes add up to a circa $450m lift in forecast nationwide (i.e. for all suppliers) dairy incomes for the season. Note, though, that there will be significant variation on a regional basis, based on the severity of the hot and dry weather in each region." Steel said BNZ had revised down its NZ milk production forecast to between a 1% and 2% gain for the 2018/19 season from 4% previously. "The flipside of lower volume is higher prices. The cumulative push higher in dairy prices has been more than we factored in a couple of months ago." Steel said from a macroeconomic point of view, recent dairy market developments are positive for NZ’s terms of trade and incomes but a near term drag on production and real GDP. "In simple terms, it means more value, less volume." ASB's Penny said looking further ahead, ASB continued to note that slowing NZ production growth is compounding sluggish production offshore. "Dairy production is falling in Australia, while EU and US production growth is a modest 1% per annum or so. Moreover, global dairy stocks are now much lower than in previous years. Lower stocks means less of a buffer for dairy markets in the event of any supply shock. "Meanwhile, global demand is also firm. In particular, demand is firm in Asia, including Greater China. "All up and as we have noted in our previous reports, the combination of these factors point to the start of a new dairy price cycle. Accordingly, we expect global dairy prices to lift further over 2019." BNZ's Steel said looking at next season market optimism is very high which is understandable as global dairy prices are currently surging upwards and the NZD stable. "This is adding some real gusto to milk price considerations for the 2019/20 season. 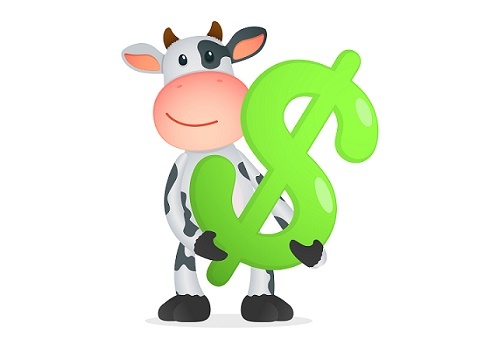 "However, while we can easily see scenarios where the 2019/20 milk price could come in well above $7 next season, we remain a little wary of extrapolating current market conditions across all of next season at this point." He said BNZ would revise its $6.70 milk price forecast for next season higher again if market uncertainty were to drop further, global risk appetite were to extend higher, and/or current strong positive dairy price momentum were to persist for long enough. "For now, we respect still elevated global economic uncertainty, slowing global growth and, as yet, unresolved trade tensions among the world’s major economic areas." Would it be greedy of me to wish that just once we could have our cake and eat it too?